Many people have old tree stumps in their gardens and are unsure as to how to remove them. Getting rid of a stump is a relatively more difficult project that cutting down a tree, and is a practice that should be undertaken by a professional who is able to use the right tools and equipment to complete the job properly. 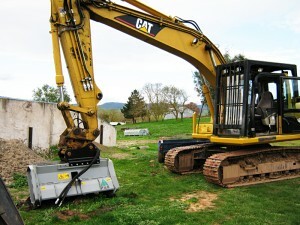 Using an earth moving business to complete the project is often the easiest way to go about removing this unsightly item which can often take up valuable space in your garden and litter the landscape. Tree stumps can look even worse once plants and weeds start to grow over them, meaning that tree stump removal should be undertaken sooner rather than later. Using the correct machinery and the best equipment available to remove the stump is imperative, as trying to do away with the stump manually can be a long and tiresome process. 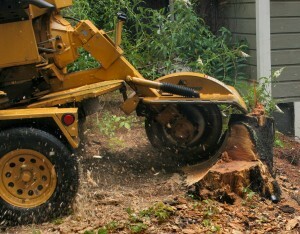 A professional earth moving business will often use a shovel to clear any excess rocks or debris from around the tree stump, and then cut as much of the stump as they can with the use of a chainsaw. This is to get the stump as close to ground level as possible. A grinder will be able to get rid of the rest of the stump in the most efficient and safest way possible, and will ensure that the stump is well-below ground level. As a stump grinder can be a dangerous piece of equipment, enlisting the services of a professional will often be the best option. They will be diligent and respectful of your garden, and employ a number of safety precautions, including the use of protection clothing and safety gear. Give Mansfield Plant Hire a call to discuss removing your stump.